Framing a pool area with a glass fence provides guests with a splendid, unhindered view. Glass is an understated, magnificent material so the spigots and hinges that are used to hold it together should be nothing short of the best. New pool catalogue out now! 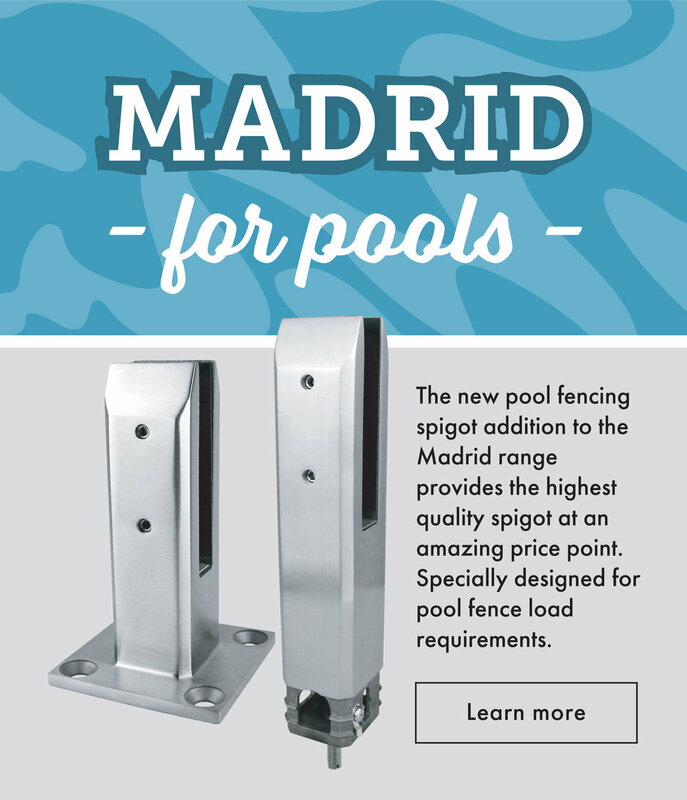 We are a one-stop shop for the trade industry, supplying a wide range of the highest quality glass pool fencing products at amazing trade prices. Plan and build your glass pool fence online! Base plated, core drill, face mount and top mount spigots all available and in stock. Our spigots come in a variety of finishes from the classic polish stainless steel, to a durable anodised aluminium. Hinges, latches, glass clamps and rigi clamps all available and in stock. The Australis 50mm Aluminium Series is a complete pool fencing system which offers ease of installation as well as being visually stunning. 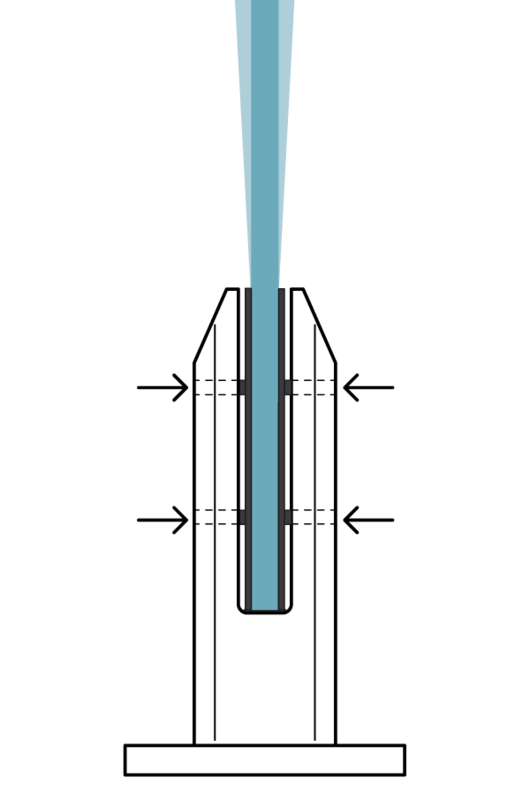 Post extrusions are produced in Alloy Grade 6005A. Each extrusion is produced in accordance with AS/NZS 1866:1977. The MOD40/50 stainless steel system offers a sleek finish to any pool area with matching hardware and fittings. Available in square or round profiles; SS316.